Damien Reynolds is the first person named in the Panama Papers who the Canada Revenue Agency has brought criminal charges against. But it appears that's just a coincidence, and the CRA had no idea he's in the huge leak of tax-haven records. For years, Damien Reynolds lived the high life: He drove a blue Lamborghini and a red Ferrari, lived in million-dollar homes and was featured in a magazine profile as the CEO of one of B.C. 's fastest-growing companies. He imported art and appeared on The Real Housewives of Vancouver, where his wife was a main cast member. But all along, the Canada Revenue Agency claims in court records, Reynolds had also been brushing off the taxman and a growing — eventually crippling — bill. "Reynolds used funds to support his lavish lifestyle rather than to pay income taxes," a CRA investigator says in a sworn, but unproven, statement filed in court. On Tuesday morning, the 51-year-old's case goes before a Vancouver judge for his preliminary hearing on three counts of tax evasion — making him the first person named in the Panama Papers against whom the CRA has brought criminal charges. But in a twist, it appears that's just a coincidence: The CRA seems to have had no idea that the globe-trotter they investigated for three years was named in the huge 2016 leak of tax-haven financial records. Experts say that raises questions about the agency's methods of pursuing potential offshore tax cheats. 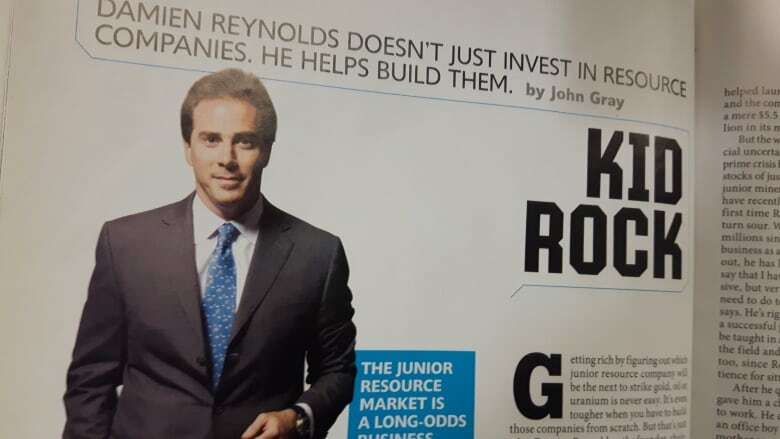 A serial dealmaker on the West Coast stock markets, Reynolds helped grow and nurture two dozen small, mostly mining companies in the 1990s and mid-2000s. Canadian Business magazine, profiling him in May 2008, dubbed him "Kid Rock" — the investment exec whose $100-million firm had "captured investor attention and wallets." The success allowed him to spend on an array of luxuries: The prior year, he had shelled out $1.7 million on cars (a Bentley, a Maserati, a Porsche and two Lamborghinis), $330,000 on art and more than half a million on jewelry, according to sworn but unproven CRA allegations. But he also owed, and did not pay, $1.6 million in tax for 2007, on a reported income of $3.7 million, the allegations state. That debt grew as, over half a decade, collection agents tried to get him to make good, it is alleged. But they came up against a wall of explanations. "I asked Damien about his assets," one tax collector wrote in the CRA's internal logs, cited in the court filings. "He said one Maserati was a total loss and he wrote it off in an accident while driving intoxicated, and the other Maserati was sold for $25,000 to keep him going." The same collector noted, earlier that year: "He said the Mercedes Benz was for his wife and that was written off also after his wife was T-boned and crashed into a pole. I asked about the Ferrari and the Bentley. He said both vehicles were given to his ex-spouse as a part of the divorce settlement." The tax agency tried to seize Reynolds's stock trading account, according to court filings. Then he was assigned into bankruptcy, just as his second marriage was dissolving. Finally, the CRA launched a criminal investigation into his finances. The criminal probe was extensive, court records show. A half-dozen CRA accountants pored over years of bank statements, credit card receipts, liquor bills and corporate filings. They even obtained his customs declarations. But despite finding evidence Reynolds had assets offshore, CBC News has learned there was a gap in the agents' work: They never searched his name in the Panama Papers. If they had, they would have found that he's named in confidential documents as the owner of an offshore company called Winston Corp. — incorporated in 1996 in the Pacific Island territory of Niue. The company had a bank account in the Bahamas, and appears to have been used to hold hundreds of thousands of dollars in equities that Reynolds owned. It is not illegal to have an offshore account. Any assets over a certain amount and any income must be reported for tax purposes. In recent years, the CRA has devoted considerable effort to ferreting out people who don't report. Contacted by CBC News, neither Reynolds nor his lawyer would comment on the Panama Papers revelations, or on any aspect of his unrelated criminal case. None of the Panama Papers material about Reynolds appears to have been on the CRA's radar, however — even though Revenue Minister Diane Lebouthillier vowed to go through the leak "with a fine-tooth comb" after the government obtained all the files. That was in May 2016. In the ensuing months, as CRA agents obtained a search warrant and eight production orders in their investigation of Reynolds, they made no mention in their sworn affidavits of anything to do with the leak. Such affidavits, by law, have to be "full and frank" disclosures of all the steps investigators have taken. The CRA said in a statement it examines and cross-references "all available information… including all information obtained through domestic and international sources" in its criminal investigations. But two sources familiar with the Reynolds probe said investigators hadn't known he is in the Panama Papers until it was flagged by CBC's questions to the agency. 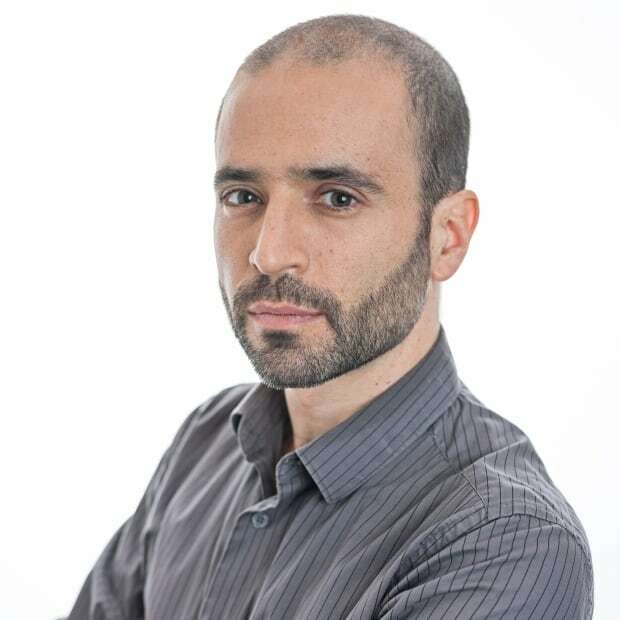 In any investigation, the CRA has to use its resources wisely, so it tends to focus its criminal probes on evidence that has the best likelihood of securing a conviction, Toronto tax litigator and former federal prosecutor David Chodikoff said. In the Reynolds case, Chodikoff said, it may not matter that the Panama Papers angle went unexplored. "It raises an eyebrow and it begs the question, Why wasn't the investigator or investigators aware of this and what's their explanation?" he said. "But beyond that, they have this particular individual in their sights, they are pursuing this individual, so it's not like this is somebody who's escaped the scrutiny of the CRA. And at the end of the day, that's what we're all after as a society. We want people to pay their fair share of tax."